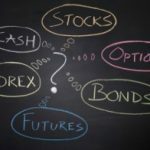 Have you ever stopped to think about the effect of fees on your investment returns? I’ve noted in the past that expense ratios are one of the best predictors of mutual fund performance. But just how bad are fees when it comes to investing? According to Charles Ellis, chairman of the Whitehead Institute, the effects are worse than many of us think. Ellis argues that we should look at fees not as a percentage of assets, as they are typically calculated, but rather as a function of our returns. And going one step further, Ellis says that we should really be looking at them in terms of the real return on our investments. That is, the nominal return minus the inflation rate. 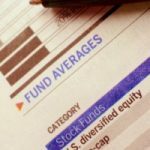 If you expect stocks to provide and average of 8% returns in the coming years, an expense ratio of 1.42% (according to Morningstar, that’s the average for actively-managed mutual funds) works out to nearly 18% of your gains. But wait… We still haven’t factored in the effects of inflation. Assuming 3% annual inflation (it’s averaged around 3.2% over the past hundred years), your 8% returns represent only 5% in real returns. The remaining 3% is required just to keep pace with inflation. That means that your 1.42% in mutual fund fees represents a little over 28% of the expected real returns of the stock market. Yikes! That doesn’t sound too good now, does it? To be fair, there are always going to be expenses related to investing. But it is possible to minimize them. In fact, you can now buy broad market index funds with expense ratios around 0.1%. Consider, for example, Vanguard’s Total Stock Market Index. Investor shares have an expense ratio of 0.18% whereas Admiral shares as well as the equivalent ETF have an expense ratio of just 0.06%. Similarly, Fidelity’s Spartan Total Market Index Fund has an annual expense ratio of 0.10%. Doing the math above, these ratios represent just over 1% of the nominal return, and only 2% of the real (expected) return. Sure, one could argue that an active manager could outperform the market average. But that manager will have to consistently outperform the market by 1.3% just for you to break even. Given the high stakes, is that a bet that you want to make? Another way I like to think about fees is their effect on your income in retirement. 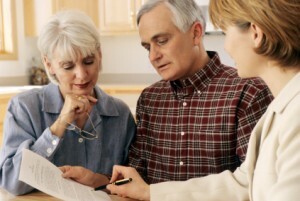 Let’s assume that you’ve decided to pay an investment advisor to oversee your portfolio. Ignoring the fees associated with the investments themselves, you’ll have to fork over somewhere around 1% in management fees to the advisor. While that 1% fee might not sound like a lot, if you assume a safe withdrawal rate (SWR) of 4%, you’re handing over the equivalent of a full quarter of your annual retirement income to your advisor. I JUST read a different article on these fees! I think it’s a sign to me that it’s time to look into my fees and see how much I’m being ripped off. This is so true. We recently found out my FIL, who is an accountant and should know better(!) was considering high fee mutual funds from Edward Jones. The Edward Jones guy was so friendly… but of course he could afford to be. We got him the Bogleheads guide to investing and it changed his life… he told us he’d have to make a market rate of return of 8% just to make up for the fees on one of the mutual funds the guy was suggesting. I think he’s a convert.